Weddings are said to be the biggest day of your life, the day where you join your loving partner in holy matrimony. However it’s fair to say that weddings can be a little daunting, especially for the bride and groom. With so much to plan and organise, it is important that your choice of caterer covers every last detail from food prep to service to cleaning up at the end of the night, in order to give you, the happy couple, the chance to enjoy your big day. 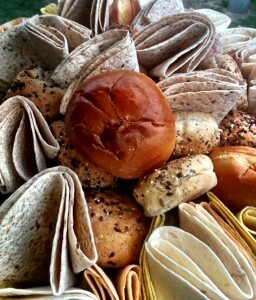 At Taste The Cracklin, we know it’s the small details that truly make a wedding special. Recently, we were recruited to cater for the wedding of Stephen and Sally, a young couple that have fallen head over heels for each other. They were delighted when they arrived back from their service to find the team at Taste The Cracklin had already laid out the reception room immaculately for the guests, and that the Hog was already roasting, with its scent wafting through the air. Everything was being taken care of, and the happy couple got straight to drinking and dancing! When the Hog was roasted, our lovely waiting staff called for service and the guests rushed to form a queue. 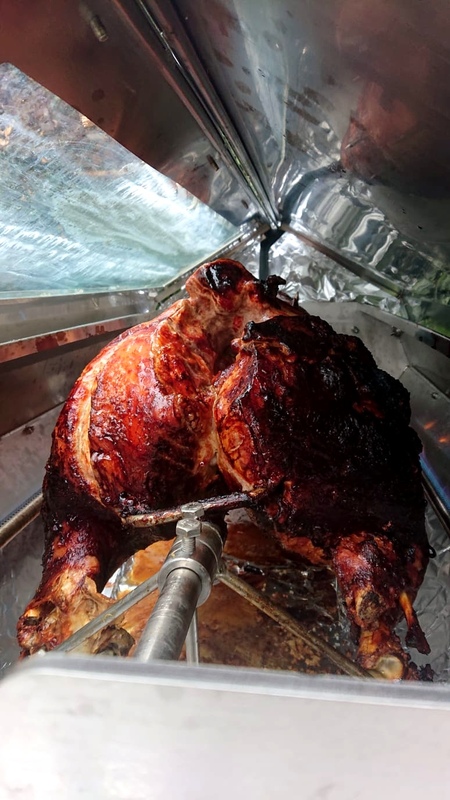 Our sizzling spit roasted pig was served with apple sauce, stuffing and crispy crackling as well as bread rolls and a selection of sauces. For sides, a choice of salads, such as green leaf or the classic Caesar, and the roasted new potatoes in rosemary and garlic. Dessert was of course already taken care of with the wedding cake, however, our Chef prepared a decorative plate for it to be brought out on, dressed with juicy berries, coulis of summer fruits and fresh cream. The bride and groom really appreciated the finishing touches. Fed and watered, the guests continued to dance into the night to celebrate Stephen and Sally’s big day, all the while the hardworking team at Taste The Cracklin were cleaning down and tidying away their mess. The happy couple thanked us for our service, which helped to make their big day a special one.